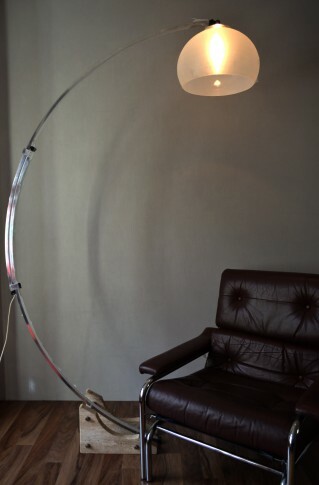 Stunning and dramatic 1960s/70s Italian arc floor lamp with a large, heavy white marble base, steel adjustable arm and a huge acrylic mushroom shaped shade. Professionally rewired to modern standards with PAT safety check. 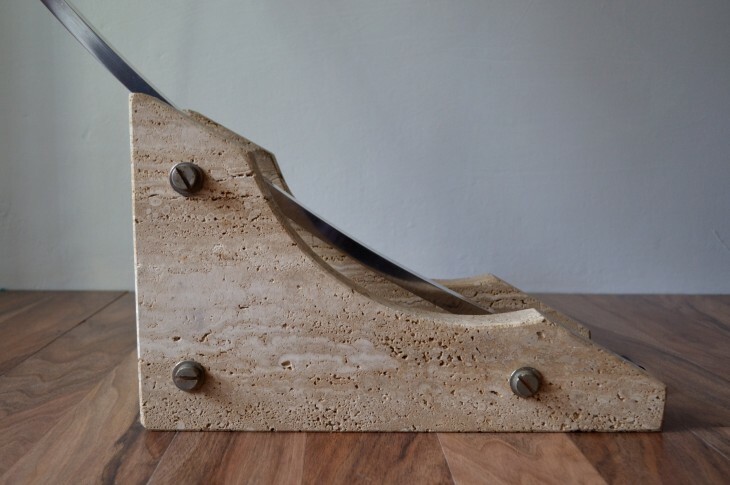 The height and length (or reach) of the lamp is adjusted by sliding the top arch up and down along 2 tracks and forms a perfect circular shape which is reflected beautifully in the double slabbed marble base with it’s semi-circular cut. 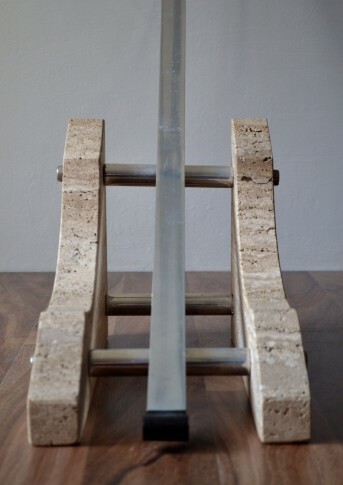 The marble is thick and crevassed, yet beautifully cut, with the two slabs connected by three ebonised metal rods held in place by big, beautiful screw bolts. A truly stunning, rare and stand-out piece, that would look amazing in pretty much any setting with adequate ceiling height.